A report in a Zulu language publication claims the former president has an angry future father-in-law on his hands, but another family member disputes this. 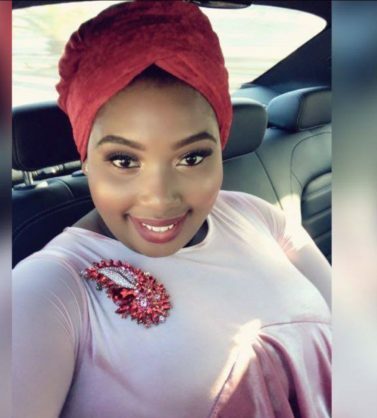 Former president Jacob Zuma’s finances and love life are again a talking point after a report that suggested he hadn’t yet paid the portion of the lobolo (dowry) for his young fiancee Nonkanyiso Conco being demanded by her father. In April it was reported that Zuma had been in a relationship with the 24-year-old Conco for five years, after first meeting her at the Zulu reed dance at Nongoma in 2013 when she was 19. Conco is from Matatiele on the KZN border with the Eastern Cape and has long been an outspoken fan of keeping Zulu traditions alive. She was forced to resign from her job as the treasurer and communications officer of nonprofit organisation She Conquers, a women’s empowerment organisation that was not impressed about her Zuma affair. She bore Zuma a child on his 76th birthday this year. She also did work for a graphic design firm that was contracted to, among other companies, Zuma’s wife Tobeka. It was first reported that Zuma paid lobolo for Conco in 2016 and the relationship continued to be secret until The Citizen first reported on it in April. Conco only told her family about the relationship in 2016 despite having visited Nkandla since she was 19. Her father, however, Fartescu Conco, told Zulu newspaper Isolezwe that Zuma had not kept to his word about the lobolo, after reportedly promising Fartescu a payment for his daughter over the phone. He said he felt disrespected and angry and mentioned that he had heard the family was paid R184 000, but he wanted what was supposedly promised to him over the phone by Zuma. He alleged the family had bought cars with the money. Fartescu Conco said he only learnt about his daughter giving birth when he saw it in the media. However, Conco’s brother Shayimamba told The Sowetan that wasn’t true and Zuma had paid the dowry “timeously and in accordance with our practices”. He claimed the family remained happy about the union, although the Isolezwe report suggested that Conco, who was asked for comment, was no longer taking her brother’s calls. Conco’s uncle Wele Dolomba had told the Sunday Times in April they were also impressed that Zuma only impregnated Conco after first paying lobolo. Zuma spokesperson Ray Zuma said in April that the media should focus more on current president Cyril Ramaphosa and he would not divulge how much the lobolo had actually cost. He was unobtainable for comment on the latest allegations from Fartescu Conco.